Most people don’t know it but one of the great benefits to spinning fitness is it is an awesome cardiovascular exercise that offers all the benefits of both cardio and aerobic workouts, and without being a high impact exercise. Even if you have never attended a spinning class before, you should be able to picture the benefits your body gets just by comparing it with cycling in ideal terrain conditions, if there is such a thing. 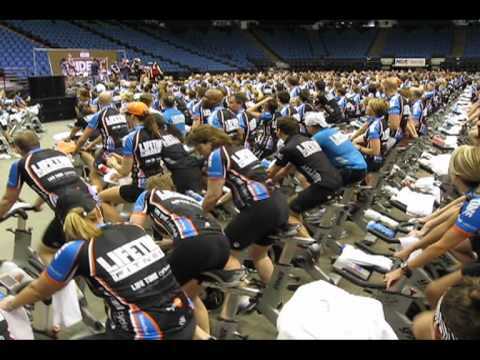 Spinning is a term for indoor, stationary cycling. Spinning bikes have fixed racing handlebars, pedals with shoes straps so that you don’t slip, adjustable the seat and adjustable handle bar crank. This is a great benefit, because it’s important that you are sitting in the right position depending on your height for maximum comfort and results. The intensity of your spinning workout session on the cycle can be adjusted with either a resistance knob or gear lever. Depending on the type of spinning bike you’re looking at, some of the higher quality spinning bikes come with a gear lever which offers up to 8 gear changes for harder workouts. While spinning classes are very popular the benefits you get from them are more important, more and more people are buying spinning fitnes bikes for home use as time restraints, and hectic lifestyles make it very difficult to get to scheduled spinning classes on time. People of all ages and fitness levels can enjoy and benefit from spinning on an indoor spinning cycle and because the impact is so low, if you’re after an exercise program that doesn’t add stress to the joints, but still want to burn maximum calories, then a spinning exercise program may be what you’re after! 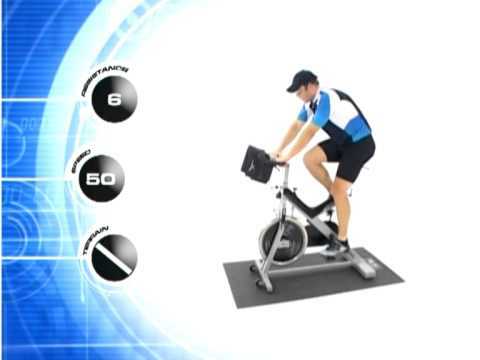 A spinning workout routine using your fitness spinning indoor cycle will work out a few different muscles groups. These include the quadriceps (thighs), hamstrings (back of the thighs), hips, gluteus maximus (bum), and abdominal muscles. 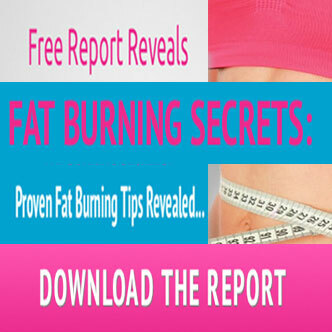 As you can see…your spinning exercise routine can really get great results if you go for it! If you have any ailments, injuries or queries, firstly consult with your personal trainer, a fitness instructor or a physician. Make sure your seat is in the right position and the handlebars have been adjusted to suit you. Your knees should be slightly bent when positioned at the bottom of the stroke pedal. Your elbows should be slightly bent, with your arms a comfortable distance from the handlebars. Keep adjusting them until you’ve got it right! Spinning on your workout bike in the comfort of your own home is an excellent, safe and fun way to burn those unwanted kilos while increasing your fitness level. Because a major benefit is you can jump on the bike any time of the day (even if it’s only for a few minutes), you will see results and benefits fast if you keep it up! Mixed with a healthy eating plan, spinning on your spin bike will have you feeling like an athlete in no time at all! 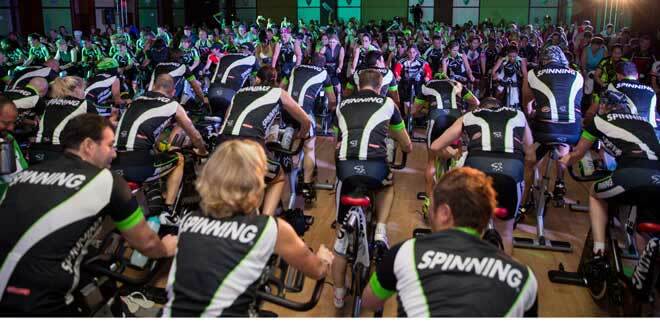 One of the most notable spinning fitness benefits is the increase in leg strength and stamina which is as a result of the intensity and duration of the spinning fitness workouts. As long as you find the right instructor or guide to train with, you will find that the circular motion of the pedaling does no pound your knees, heels and other joints meaning that this spinning exercise is safer than running and most other high impact workouts. Most people resort to spinning fitness as the ideal solution to their weight problems because this fitness session burns calories fast. It is also an ideal workout because it is an indoor workout that is done in a group called a class, providing a way for people to network while working out and to draw inspiration from each other while retaining the power to determine one’s own workout pace. The benefits to spinning fitness are too numerous to list here in this short article but please feel free to search the entire site to find out more benefits.